A solid oxide fuel cell (SOFC) is an energy conversion device, which directly converts chemical fuels (e.g., H2, CO, and CxHy) into electricity and heat with high efficiency up to about 90 %. The main by-product CO2 when hydrocarbons used as fuels can be sequestrated or subsequently chemically transformed into chemical fuels (e.g., CO) by electrolysis using renewable energy sources, such as solar and wind. The state-of-the-art nickel and yttria-stabilized zirconia (YSZ) composite (Ni-YSZ) anode is deactivated in the presence of ppm level of H2S and forming coke in hydrocarbons at the operating temperature of SOFCs. 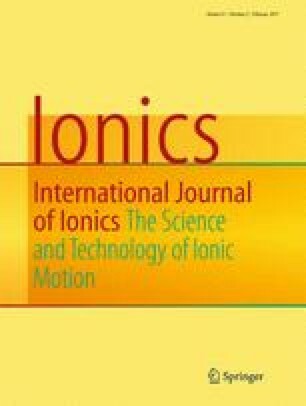 Currently, mixed ion and electron conducting (MIEC) metal oxides are being considered as alternatives for Ni-YSZ anode in SOFCs. In this review, we report the recent development of MIEC metal oxides anodes for advanced SOFCs. This research was supported through funding by the NSERC solid oxide fuel cell Canada Strategic Research Network from the Natural Science and Engineering Research Council of Canada (NSERC) and other sponsors listed at www.sofccanada.com and the NSERC through a Discovery Grants. One of us (VT) thanks the Canada Foundation for Innovation (CFI) for support as Leaders Opportunity Fund to establish advanced laboratory for material characterization.